Give your RV a new layer of clear coat. Your RV is your home away from home. Some of your best memories are probably directly connected to your home on wheels. Keeping the clear coat on your RV in top shape protects the surface of the vehicle and prevents rust. Applying a new layer of clear coat is a straightforward task, one you can easily tackle over the weekend. The most important thing is to prepare the surface well, resulting in a better and more professional finished product. 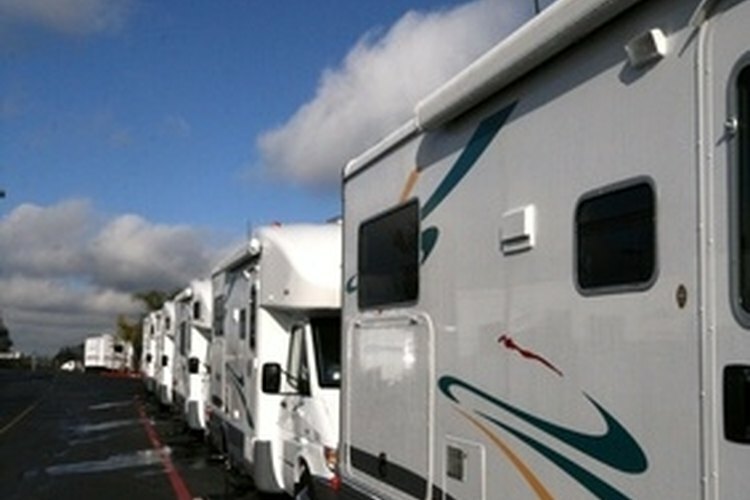 Turn on a hose and rinse the RV thoroughly to remove visible dirt and debris. Mix a solution of water and oxygenated bleach according to package instructions. Dip a sponge into the solution and scrub the RV. Oxygenated bleach will remove mold and mildew from the surface. This isn't necessary if your vehicle is free of mold and mildew. Scrub the RV’s surface thoroughly with a degreasing cleaner and a sponge to remove all chemicals from the surface. Use a "free-rinsing" degreaser so that no residue will be left behind. Rinse the vehicle with the hose. Apply scouring powder to an abrasive nylon pad. Rub in a circular motion. Scuffing the surface will create texture on the RV’s surface that will give the clear coat better adhesion. Rinse the RV thoroughly with the hose. Dip a lint-free rag in rubbing alcohol. Wipe the surface of the RV with the rubbing alcohol. Dip a paintbrush into the clear coat and apply with a light, even stroke. Paint in one direction to reduce visible brush strokes. Apply two to three thin coats of clear coat. Clear coat also can be applied with a high-volume, low-pressure spray gun. Only use a spray gun if you are comfortable using one. Don’t apply the clear coat until the surface is completely free of residue. Turn on the hose and let water run down the RV’s surface. The water will run off of a clean surface in sheets. If you see beading in any areas, those areas are not clean and must be addressed.